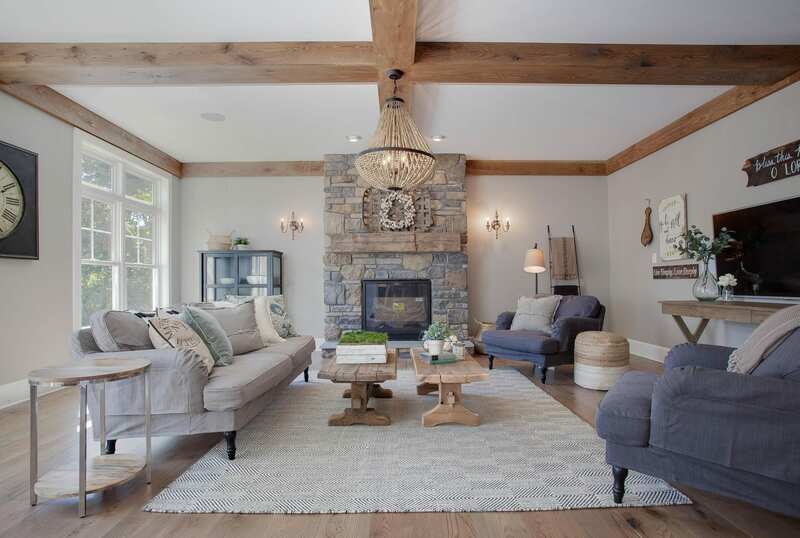 Comfort and simplicity best define the modern farmhouse style. It’s not surprising that this style is growing in popularity in the greater Harrisburg area. 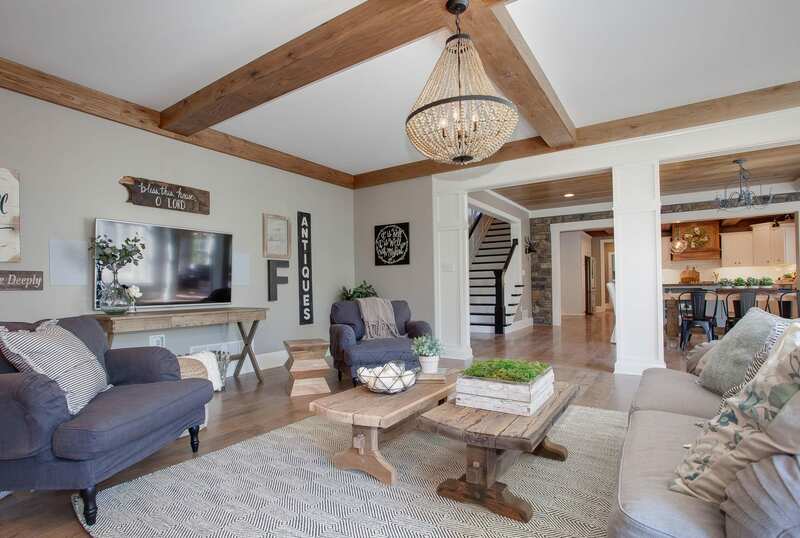 Design shows, such as HGTV’s Fixer Upper, have helped popularize and highlight the appeal of the modern farmhouse design. 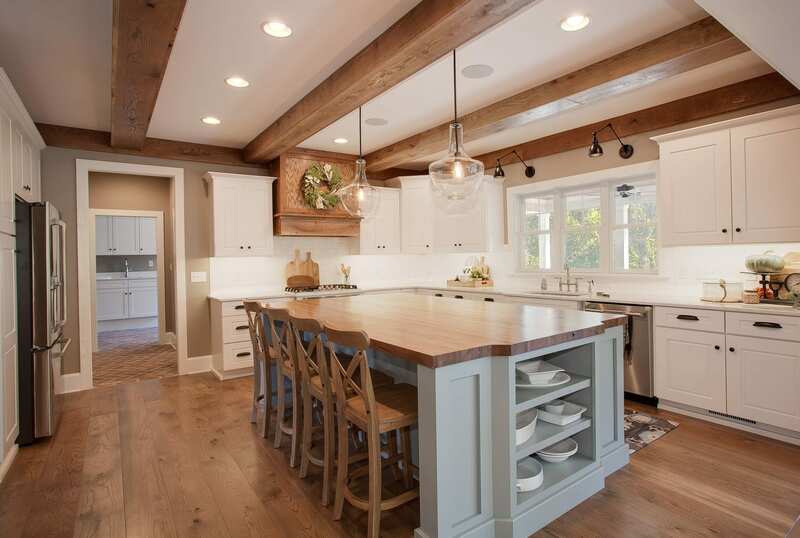 A modern farmhouse kitchen can seamlessly blend rustic and modern/industrial design aesthetics. 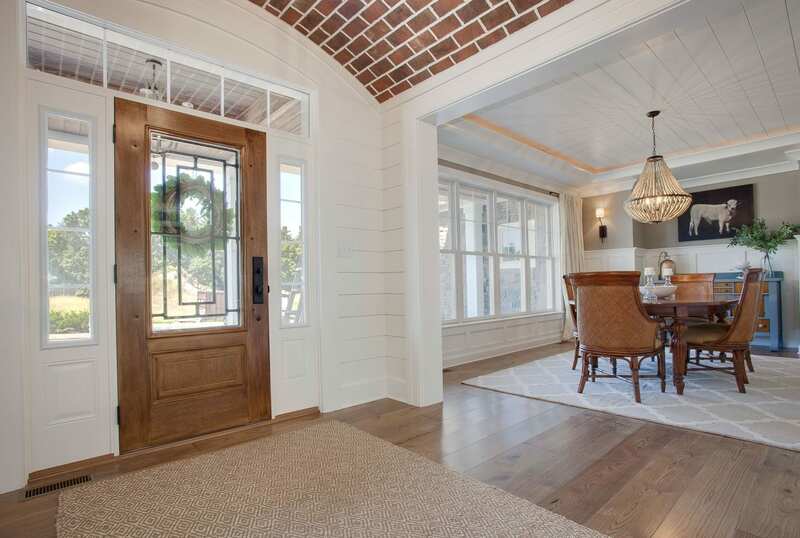 Why Is Modern Farmhouse So Popular? The great thing about modern farmhouse design is its flexibility. That flexibility opens up many options for floor plan layout, building materials, and storage options. 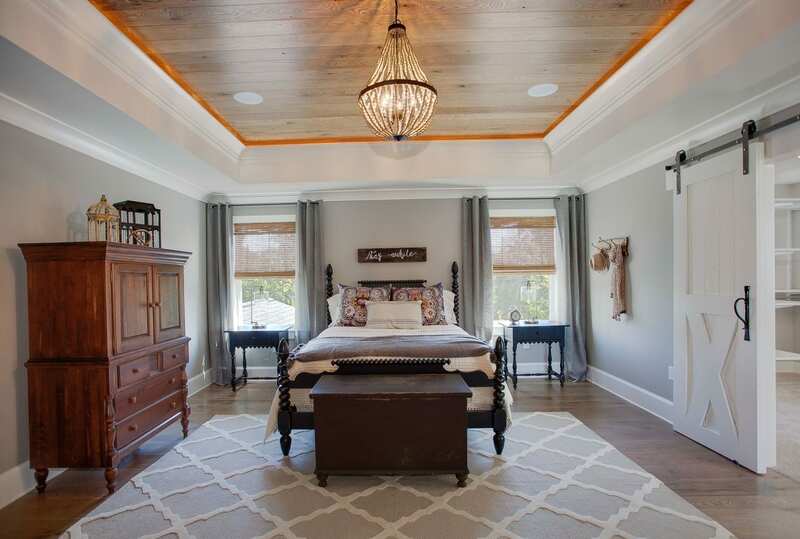 HGTV’s “Fixer Upper” has highlighted the flexibility of this style. 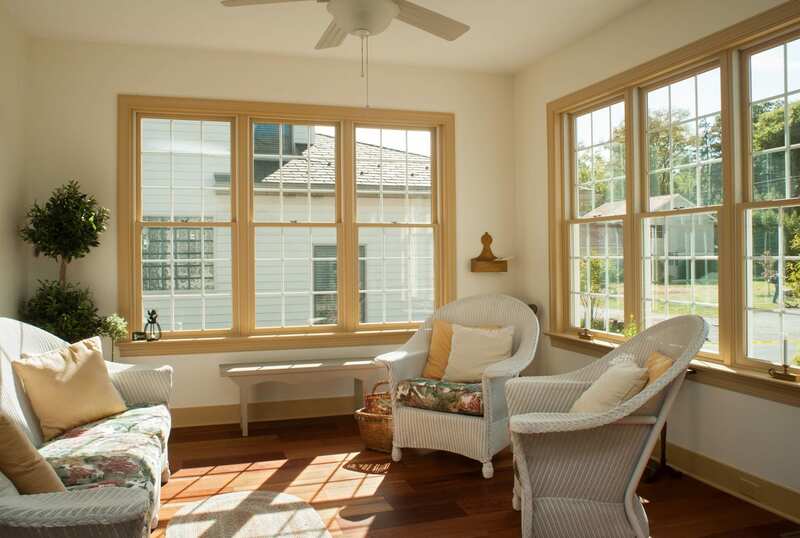 Evokes feelings of warmth and comfort. Traditional feel without being fussy. A change from minimalist style of 1990s and early 2000s. Minimalist dining room style that was widely popular in the early 2000s. However, the focus in any farmhouse design tends to focus on functionality, storage, and furniture over decoration and ornamentation. 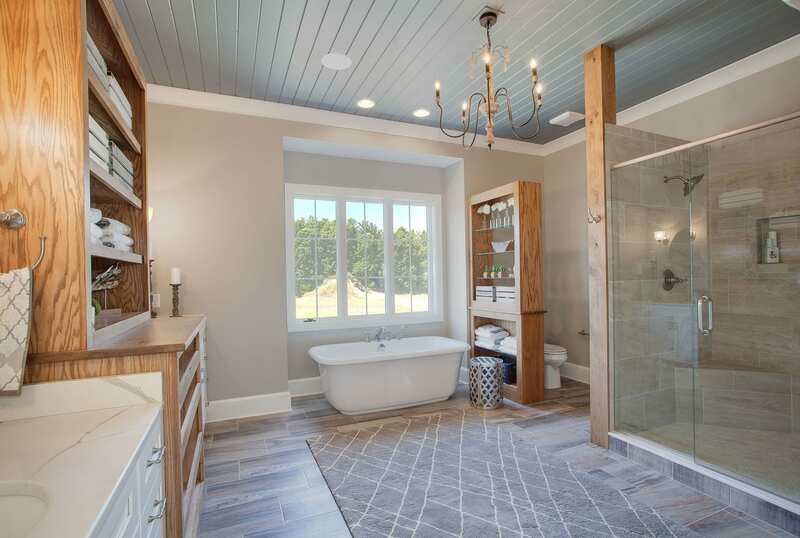 You will see this play out in the image galleries below of modern farmhouse homes we’ve built. 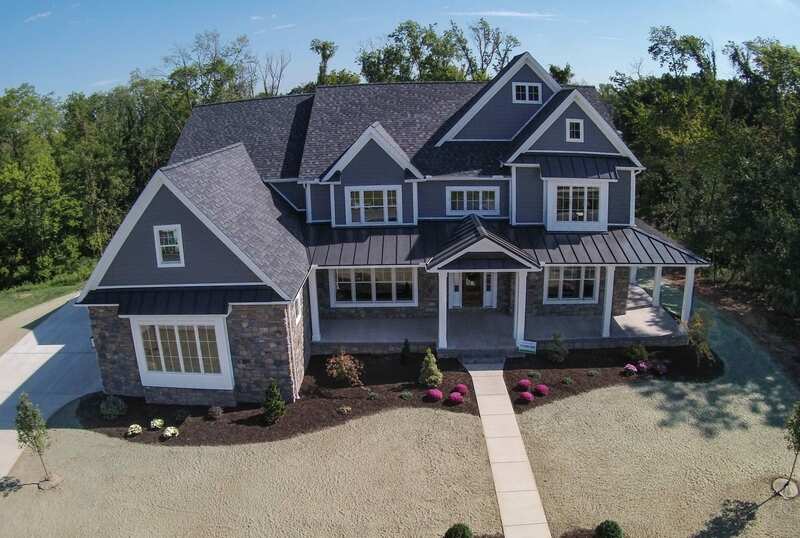 Model farmhouse style home to be built at Sterling Estates in Harrisburg. 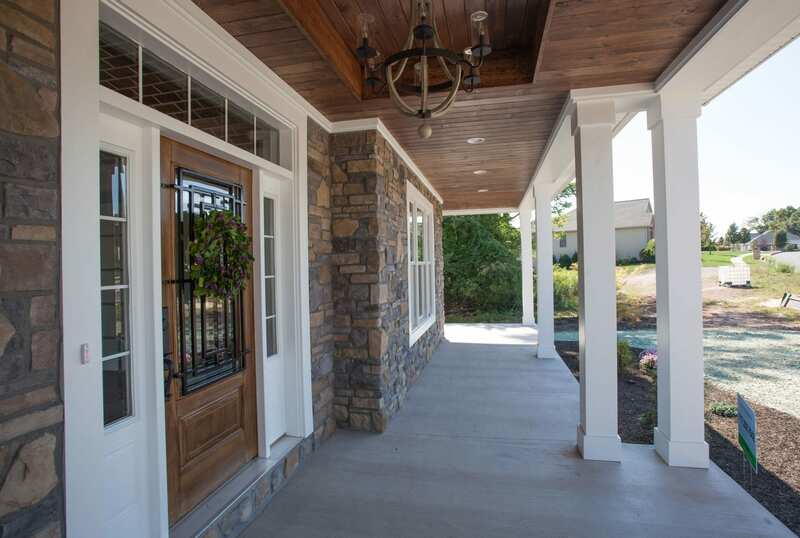 We designed and built this custom farmhouse in the Deaven Woods community in Lower Paxton Township. The home was featured in the 2016 Parade of Homes and won in its category, with Gold recognition for exterior, interior, and kitchen. 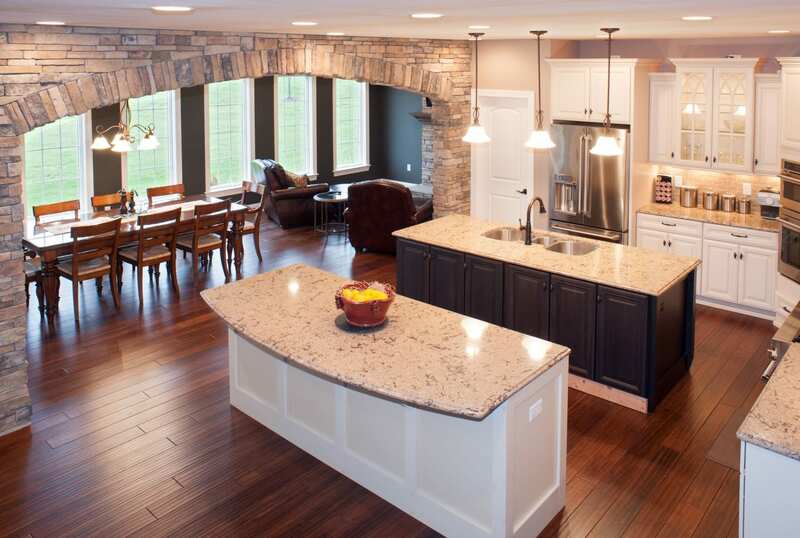 A custom home is limited only by your space, budget, and imagination. During our initial consultation, we will discuss your goals and dreams for your new home, as well as share our thoughts on what you can do. Depending on the scale and complexity of the project, a home build project with us can last as little as 4 months and up to 12 months. Most of the work is completed by FoxBuilt employees, with the assistance of a few trusted subcontractors.